Kiosk Software is the system and user interface software designed for a kiosk or Internet kiosk. Kiosk Software locks down the application in order to protect the kiosk from users. Kiosk software may offer remote monitoring to manage multiple kiosks from another location. Email or text alerts may be automatically sent from the kiosk for daily activity reports or generated in response to problems detected by the software. Other features allow for remote updates of the kiosk's content and the ability to upload data such as kiosk usage statistics. 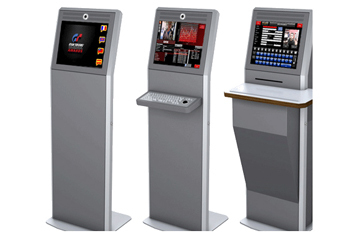 Kiosk Software is used to manage a touchscreen, allowing users to touch the monitor screen to make selections. A virtual keyboard eliminates the need for a computer keyboard.